The Sustainable Energy Authority of Ireland (SEAI) has just launched a new five-year strategic plan with a mission of transforming Ireland into a society based on sustainable energy structures, technologies and practices, and a vision of making Ireland a recognised global leader in sustainable energy. The Home Energy Saving Scheme provides grants to certain homeowners to improve the energy efficiency of their home. Landlords and owners of more than one property can also apply for a grant under the scheme. The scheme is administered by the Sustainable Energy Authority of Ireland (SEAI). A new National Energy Retrofit Programme is going to be launched in the coming year (2011). It is intended that the Home Energy Saving Scheme will be absorbed into this programme, together with the Warmer Homes Scheme and the Greener Homes Scheme. A new tax relief scheme is being introduced to encourage people to make their homes more energy-efficient. This relief will be given up to a maximum expenditure of €10,000 at the standard rate of income tax. Credit will be given in the following tax year. 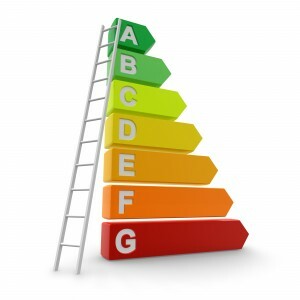 Building Energy Rating (BER) after the energy saving work is carried out. SEAI will only fund certain heating control upgrades with certain functions. Free information on HES and HES grants, BER certification and assessments, application for concessions etc. Design Supply and installation of attic insulation, high efficiency HVAC equipment and controls. 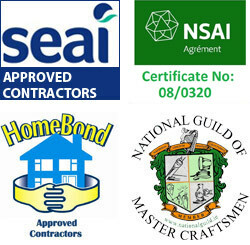 You must have grant approval before you buy materials or start any grant-funded energy saving work. If you have already started work, you will not be eligible for a grant. However, a before BER can be done ahead of grant approval and could prove useful if you are uncertain about your energy saving options or what to get done first. Apply for a minimum amount of €500 with your first application. You can apply for a number of grants under the scheme to reach the €500 minimum application amount but a BER grant cannot form part of this amount. The work is part of any payment you received under the HES pilot scheme – see below. SEAI publishes detailed rules for the scheme. The HES pilot scheme has ended. If you got a grant under the HES pilot scheme you may apply a grant under the Home Energy Saving Scheme but the work must not be part of any payment you received under the HES pilot scheme. You must also meet the other qualifying criteria for the Home Energy Saving Scheme. Grants are paid after the work is completed and you have paid your contractor. Applications received from specific offshore islands are eligible for 50% additional grant support. If the cost of the work (including VAT) is less than the maximum grant amount, you will get a grant for the actual cost of the work. Grants are fixed for each type of measure as indicated in the table below. Grant approval must be in place before any purchase of materials or commencement of measures undertaken. Grants are paid after the measures are completed and the contractor has been paid by the homeowner. In the instance where the cost of the work (vat inclusive) is less than the fixed grant amount, the actual cost will be reimbursed. * Please note that while you are entitled to apply for each Measure there is a minimum requirement that the grant amount in the first application must be €500 or greater. The BER grant cannot form part of this €500 amount. *An after BER assessment is now mandatory to avail of the SEI grant scheme. Sustainable Energy Ireland, or SEI, grants home owners with certain cost coverage based on the type of renewable energy they opt to use in their homes. The available renewable energy technologies include solar heating, heating pumps, wood chip or pellet stoves and wood chip or pellet boilers. The levels of funding are varied and will depend on the exact equipment used as well. The detailed grant aid procedure used by home owners to collect aid for their renewable energy schemes differ according to certain aspects of the technologies used. Who can avail of SEI grants? Eligibility for SEI grants is included in the detailed grant aid procedure. To be approved for a domestic Greener Homes Scheme grant for eg., the following conditions must be met without any exclusion. Applicant must verify the property for which the grant is needed has been occupied for at least one year, has an existing heating system and is currently occupied. Applicant must be the owner and have complete rights to the property. Applicant must submit a fully completed application form with the most current information included in it. A bank account and sort code details must be provided by the applicant to facilitate the grant’s electronic payments (EBS and Credit Union accounts are not accepted). Applicant must agree to the relevant terms and conditions, stipulated at the time of application. How to apply for SEI grants? Applications must be filled out on the Scheme Application Form after reading through and understanding the Scheme Application Guide. After an application is received by the SEI, it will be evaluated based on the above mentioned criteria. If approved, a Letter of Offer will be issued to the applicant. The applicant must confirm it within 30 days to receive the grant. The grant offer remains valid for 12 months from the date of issue of the Letter of Offer.